6 Fitness apps for your smartphone that actually work! Gurugram, India, September 17, 2017: Usually Chefs cook for foodies and food lovers but this time it was turn of foodies of Gurugram to turn chef and cook for celebrity Chef Sanjeev Kapoor and impress him. This interesting event was organized at Wonderchef Outlet in Gurugram where more than 30 finalists who were selected presented their recipes and delicious dishes to Chef. A week long contest COOK FOR ME was launched by Wonderchef and Sanjeev Kapoor where 100s of people participated and submitted their recipes. Wonderchef, which is India’s favorite brand of healthy cooking, opened its first store in Gurugram today which is its first Exclusive Brand Outlet (EBO) of North India. First of its kind store offers a wide range of innovative and easy to use appliances which not only enhance the beauty of kitchen but also help to cook healthy and tasty food without any hassle and also reduce the cooking time too. The one-of-its kind competition, which was designed to provide platform to amateur chefs and food lovers to showcase their culinary talent through LIVE cooking on ‘innovative and healthy food”, witnessed huge audience on Sunday. Chef along with renowned Food Entrepreneur and Managing Director of Wonderchef Ravi Saxena, Marketing Head Mukti Saxena and their team selected the real Wonderchef amongst hundreds of participants. 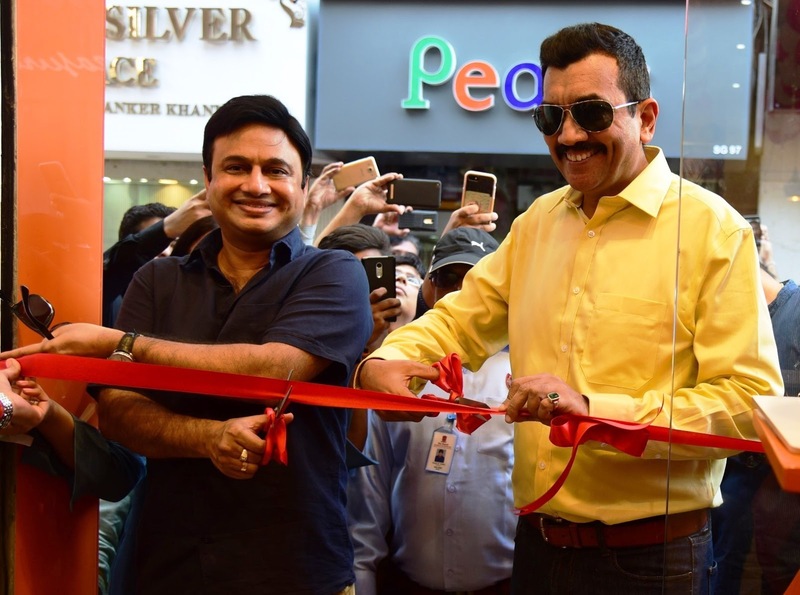 On this occasion of Store launch, Mr. Ravi Saxena, Managing Director, Wonderchef said, “Wonderchef has grown into a trusted & the most loved brand of cookware and healthy appliances in the country. With the motto of Eat Healthy & Live Healthy today we have entered the fastest growing city of Haryana. City’s lifestyle is very fast, so people of the city have very less time for cooking. Being a leading player of the country it is our responsibility to educate the people about what they eat, how they eat and what is healthy? On the basis of our R&D and experience of Chef we made Wonderchef a, unique brand amongst others. Everything we would do over the next three years would be in this direction till the time we are one of the top 3 players in kitchenware industry in India’’. Chef Sanjeev Kapoor who judged the recipes and gave away prizes to winner said “I am very happy and overwhelmed to see the enthusiasm and zeal of the people of Gurugram. It gives me immense pleasure to see an evolving cooking culture with such innovative recipes. Wonderchef is committed to empowering and educating the women by enabling them to cook healthy”. The winners of the contest were Reeta Arora, Anju was 1st st runner up and Rajni Anand was the 2nd runner-up for this live cooking competition that was held at Wonderchef Store, Galleria Market, Gurugram.